Ever since I started truly homeschooling, I've been at least a bit drawn to the idea of a classical education. Memoria Press was one of the first homeschool curriculum companies I was introduced to, and even back then, I looked forward to being able to use their logic curriculum. For one reason or another, it hasn't happened. Until now. The Crew has had the opportunity to review their Traditional Logic I Complete Set, includes a Student Guide, Teacher Guide, DVD's and Quizzes & Tests. One thing I've loved about every Memoria Press product I've used is that they create a great, basic product without a lot of fluff. It is usually pretty easy to figure out how to use it. 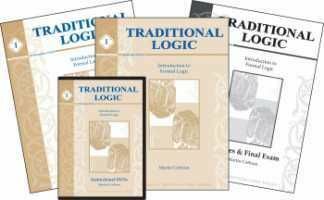 In the case of Traditional Logic I, there are fourteen chapters, plus an introduction, and each of those chapters tells you what to do for four days of work. There is also a quiz (or final exam) for all but one of the chapters, so that can be done on the fifth day of the week. The materials don't explicitly tell you how to use the video, but what we have done is to watch the video lesson on the first day, instead of doing the day one assignment to "Peruse the entire chapter." The video lesson goes over all of the information in the chapter, so watching it and perusing the chapter is a bit redundant. 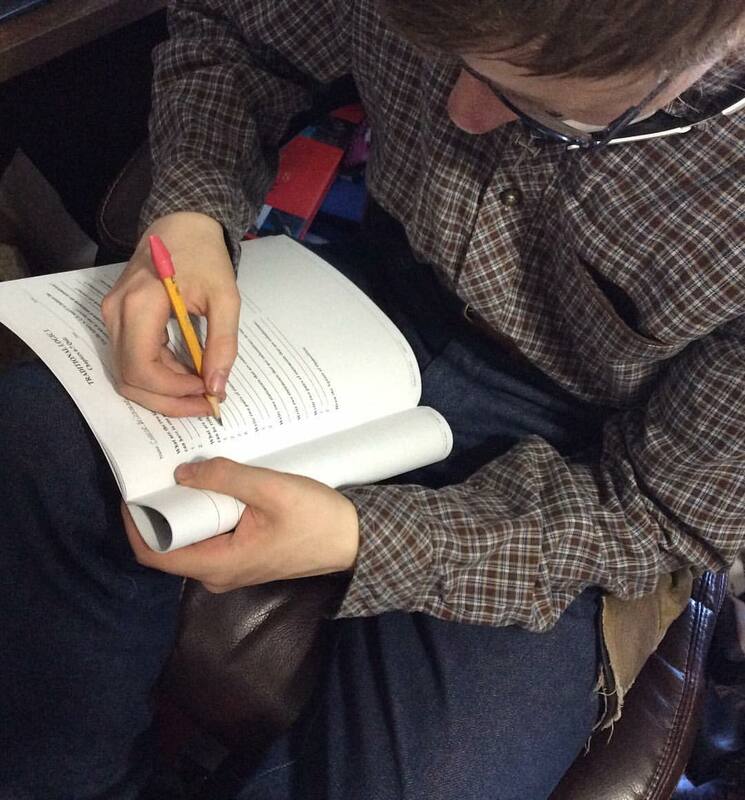 Then we go on to carefully read the chapter, section by section, as directed in the daily exercises. On the fifth day, we re-watch the video lesson and take the quiz. To use this with multiple students, you should purchase additional Student Books and additional Quizzes & Final Exam booklets. We do the daily assignments as a group discussion, but each of my teens did need their own set of quizzes. Their reason for suggesting this is so you can spend more time in the second semester, Traditional Logic II, which is more difficult. We fully intend to move on to this program, but it will be with my two remaining high school students. Connor has asked if we could at least start it while he is still home, though. We plan to move on to Material Logic after that. The jury is still out on Rhetoric though. The first three chapters are on Simple Apprehension (Term). These are the most abstract of the course, and I was happy to move into the next section. The idea here is that you are grasping a concept, understanding what something is. To use a classic example (used in the book as well), this is where you can hear the word "man" and understand that it is a person, and it represents all people who are alive now, have ever been alive, or ever will be. Chapters 4-9 are on Judgment (Proposition). This is the longest section of the book, and this is where you are thinking something is something else, affirming or denying something. Going on with the example, this is saying "All men are mortal." You've stated that "man" is something else, in this case "mortal." Also, "Socrates is a man." Chapters 10-13 are on Deductive Inference (Syllogism). We aren't this far yet, but from the introduction, we know that this is where you come to some sort of conclusion. You take the Propositions above, and conclude something new, that "Therefore, Socrates is mortal." The teens have been enjoying the course. They like the systematic approach that takes us through classical logic step-by-step. Go check out other Crew reviews to learn more! I've also been using D'Aulaires' Greek Myths and Book of Astronomy Set, but you'll need to go visit other blogs to see reviews of those. I will say that this is my second time through the Memoria Press Greek Myths set, though, and it is even better this time around!